In the past, every household had radios and recorders that made recording their favorite songs easy but as the years went by, computers, laptops, and mobile phones made it even easier for people to enjoy their most loved song. From the songs of 80’s to the most recent hit of Taylor Swift, one can effortlessly download their songs and doze off to it thanks to the millions of software available over the net that makes it all possible. That’s the time when people feel more need of the Best Audio Converter for Mac. 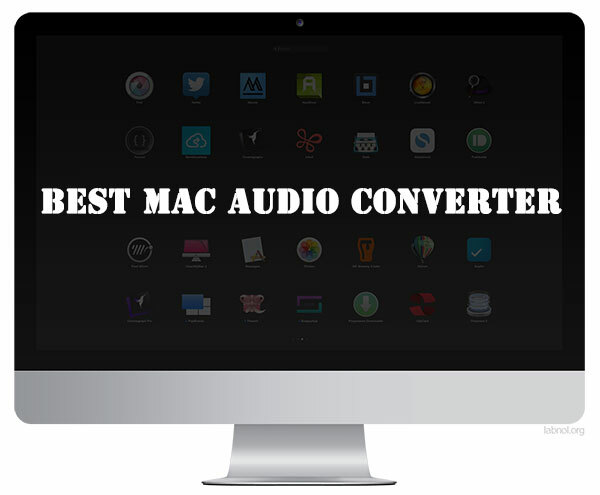 Download Best Audio Converter for Mac. FREE! Of course, not every software and application work well when it comes down to your Mac computers and laptops. Some might not be able to convert your files into MP3 while others may simply corrupt your windows so it is important to use conversion software from a credible site that actually works. And so nothing can beat the All2MP3 for Mac, a highly trusted site that provides its users with the best of services. Step 1. Download & install All2MP3 for Mac, the best Audio Converter for Mac. It is light in size and the installation will be done in a few seconds. Also, unlike many other free audio converters for mac, it comes with no malware to bother you. Step 2. 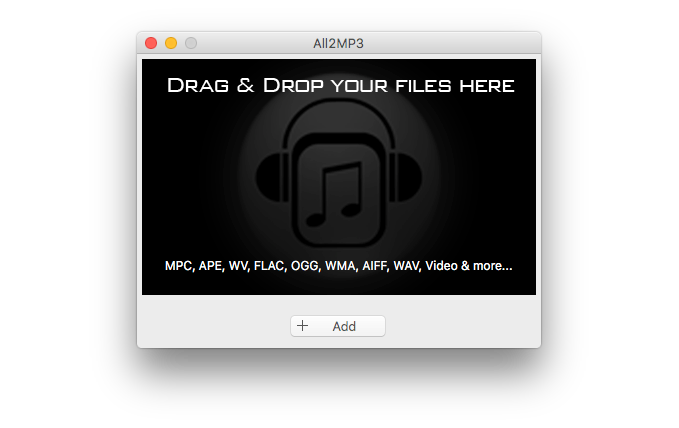 Start All2MP3 for Mac and you will see its interface with “DRAG & DROP YOUR FILES HERE” – just follow the guidance. Choose the audio files you want to convert and drag them to drop on the program window if you are already in the source folder; if you need to find the target folder or prefer the traditional way to add files, use the “Add” button at the bottom, which will prompt a window in which you can choose and add the files. Step 3. After you input the audio files, All2MP3 for Mac will prompt a window with file list and a few options to tweak. There is a small red round button below the file list via which you can change the output folder. The file list shows you all the added audio files (filename, extension and file location). There is a quality slider bar on which you can choose the quality of the output audio (32 to 320 Kbps) and use “Reset” to restore to the default settings. If you don’t need the original files after conversion, you can check the “Trash files after conversion” box. To continue to add more files into the list, click “Add“. Finally, when all settings done, click “Convert” and wait for it. You can find the output files in the output folder you set. Need a video tutorial? Here it is! If you are in an urgent or for some reason, you don’t want to download and install any application, then online audio converter is your second-to-none alternative to All2MP3 for Mac. You don’t need to download or install anything so there won’t be any malware installed to your Mac. How can you find them? 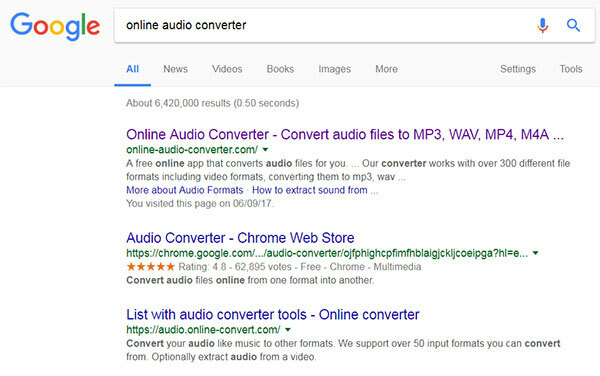 Just Use Google to search online audio converter and you will get plenty of results but of course you should compare them before you use them and be ware of the malware on some sites of them. Most of the online audio converters work similarly. Some of them may have an interface like the one below while others come with just a few buttons in a very simple page. You need to upload your audio files, choose the formats and quality you want and let their servers convert audio file for you. After that, you need to download the resulting audio files. It is clear that you must have network connection for the whole process. If your connection is unstable, it’s wise to download All2MP3 for Mac because it won’t require Internet connection for the later process. Also, if you are trying to convert hundreds of audio files or an audio file that’s really huge in size, it’s a dumb idea to use online audio converters – that may waste half of you time on uploading and downloading them. 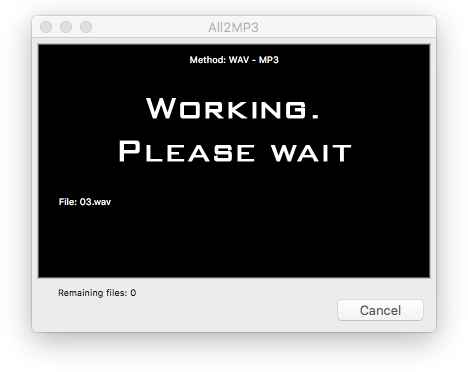 So, use All2MP3 for Mac if you have a lot of conversion work to do! For some reasons, iTunes is well-known as an audio player and its conversion ability has been hidden by Apple in a relatively deep layer. For Mac users, using iTunes to convert an audio file to a different format can be a fairly easy way which saves both time and energy. Go to “Edit” menu and select “Preferences”. In the “General” tab, click “Import Settings – OK”. 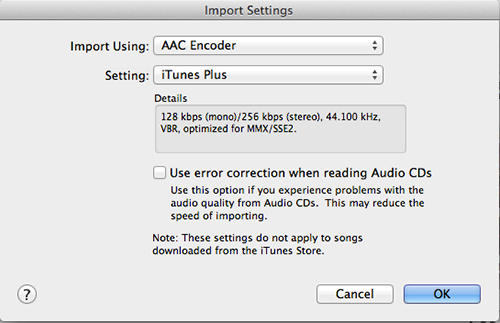 In the drop-down menu of “Import Using”, select “MP3 Encoder”. Please note that you can adjust the bit rate at which your audio will be encoded. The higher the bit rate, the better quality you will get and hence your music will be in lower quality if the bit rate is lower. After that, select the audio file you want to convert in your music library, then click on the “File” menu, then click “Convert – Create MP3 Version”. 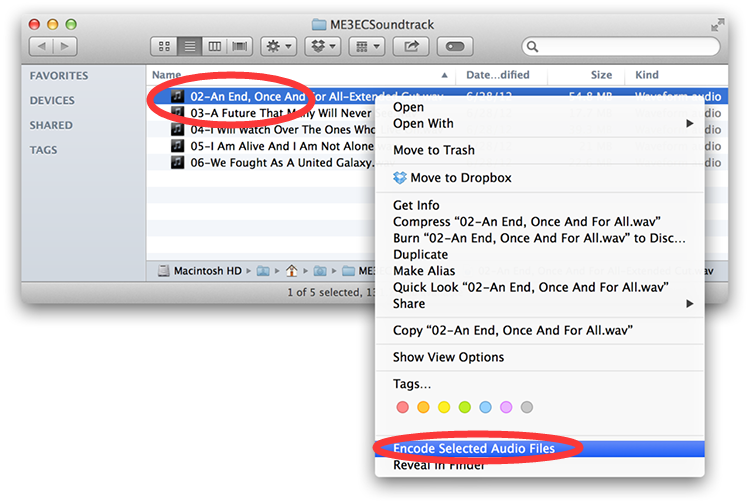 iTunes will create and save an MP3 version of your audio in your source folder directly. Although the audio conversion function of The Finder isn’t as versatile as other options, it’s simple and works at a fast speed, and will likely satisfy the needs of most users. You need to note that this option has some limitations for the conversion. Only AIFF, Sd2f, AIFC, CAFF and WAVE files are supported and it can only output files to four AAC presets. However, these presets should accommodate most Mac users who manage audio files in AAC. First, find your audio files in Finder and select them for the conversion. 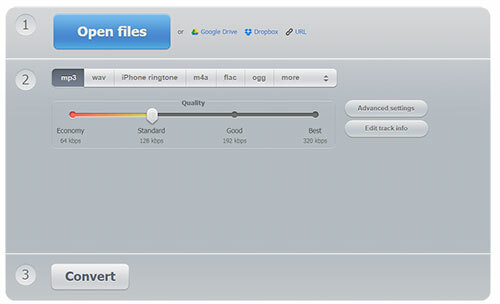 Next, right-click on the selected files and choose “Encode Selected Audio Files”. The window of “Encode to MPEG Audio” will be activated with several options. 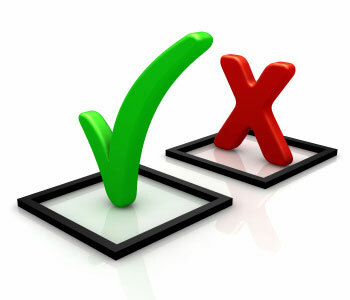 Choose one output quality from the drop-down menu of “Encoder”. You can also choose to automatically delete the source file after the conversion. Finally, click “Continue” to finalize your settings and start the conversion process. You can use The Finder to convert audio on Mac but this is a limited way because The Finder supports only WAVE/AIFF/AIFC/SD2F/CAFF as source formats and the output format is AAC, although with 4 presets. 1. Find Your Audio Files in the Finder. First, select the file(s) in the Finder. 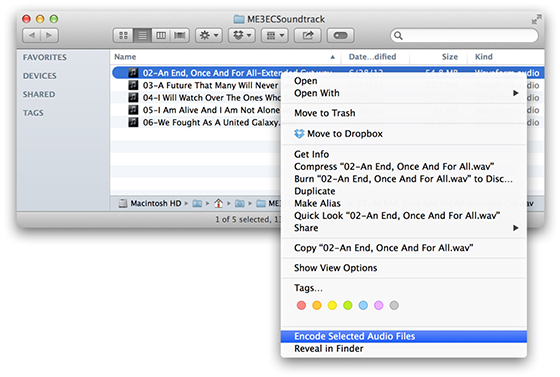 Then, right-click (Command-click) on them to choose “Encode Selected Audio Files“; or use the “Menu Bar” to choose “Finder – Services – Encode Selected Audio Files“. 2. Set the Quality & Output Path to Convert. In the activated “Encode to MPEG Audio” Window, choose the quality in the “Encoder” menu and set the output path in the “Destination” box. Click “Continue” to start conversion. If you don’t have the “Encode Selected Audio Files” option in the Finder, it may have been disabled. 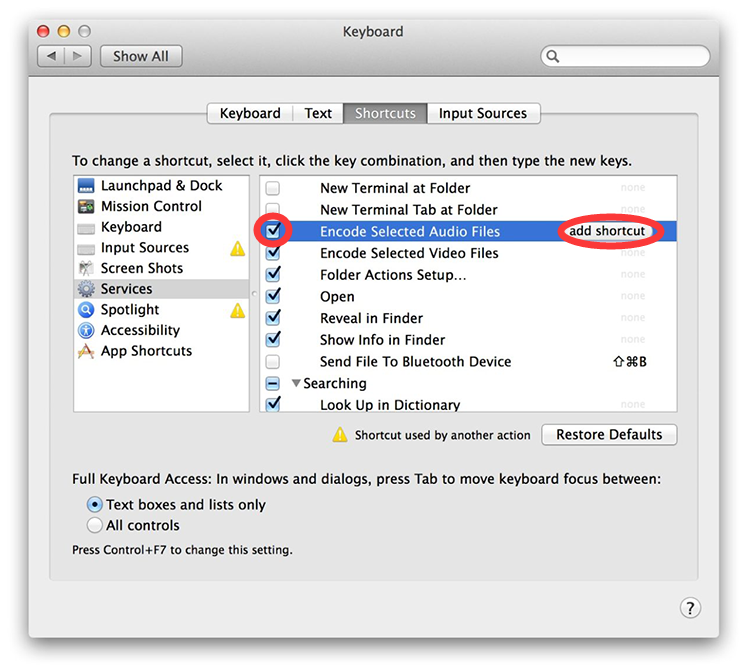 Go to “System Preferences – Keyboard – Shortcuts – Services” and check the box on the left of “Encode Selected Audio Files“. You can also click “add shortcut” and press the keyboard shortcut you’d like to use to run the workflow. After that, when you want to convert audio files, just select them and press this shortcut. Finding and choosing the best audio converter for Mac software is a hard decision and to make things easier for the music lovers, All2MP3 for Mac can help you listen to your favorite soundtracks and watch videos without any hassle and that too with great results. 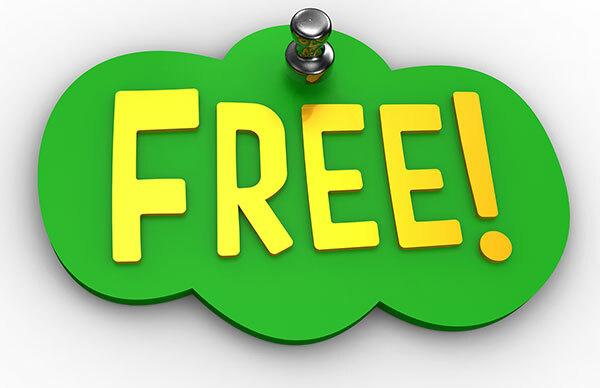 It is a must downloaded software for all the Mac users who want to enjoy streaming free of cost. From downloading songs to watching movies, the internet is definitely a hub for all. Those who own Mac computers know how hard it can be to convert files into MP3 yet alone enjoy music and so catering to the need of having the best conversion software, All2MP3 for Mac that does the difficult tasks for you in just a few minutes. Be it a song on a CD or music recorded by your friends, All2MP3 effortlessly converts such files into simple and playable MP3 files so that you don’t have to miss your favorite song next time. From MPC, OGG to WAV and much more, this app can turn any file into MP3 within a matter of few minutes, saving your time and efforts of searching for alternate sites that play your beloved sound tracks. Those who had it with all the useless efforts of finding the best songs sites should now download the All2MP3 on their Mac if they feel like dancing on their special beats. Computers are of course one of the most prices possession of people and if one owns a Mac laptop, you wouldn’t want to risk ruining it by downloading software from unrecognizable and untrustworthy sites. Save your Mac from viruses yet play your favorite soundtracks through All2MP3, an app that converts files of every format into playable MP3 tracks with just one click. Be it a video that you have been dying to watch since ages or a song that is hard to download or record, simply run this software on your Mac laptop, sit back and let it do the work on your behalf. But to many, downloading software on their laptops may seem a hectic task. From finding the right resources to having a good internet connection for running it, people usually avoid doing things that may take up hours to complete. But when it comes down to all to MP3 conversion, tresrrr.com is the best site to gain access to the software and within just a few minutes, you’ll be done with the installation of the app, all ready to listen to the latest soundtracks. Mac users are definitely in for a treat because All2MP3 is one app that does all type of audio to MP3 conversion, saving your computer space from unnecessary downloaded apps and files. When searching for conversion software online, one looks for the easy availability of the applications which are not only easy to install but can be used for multiple purposes. Of course, you don’t want your Mac laptop to be stuffed with software and applications only, leaving no space for saving your favorite videos and audios. This is why All2MP3 for Mac is produced, software that is readily available for downloading and does all the hard work for you in no time at all. From a song recorded in your own voice to play videos on the screen, this software converts different format files into MP3 effortlessly so that you can just sit back and pump up the mood with your most liked songs. 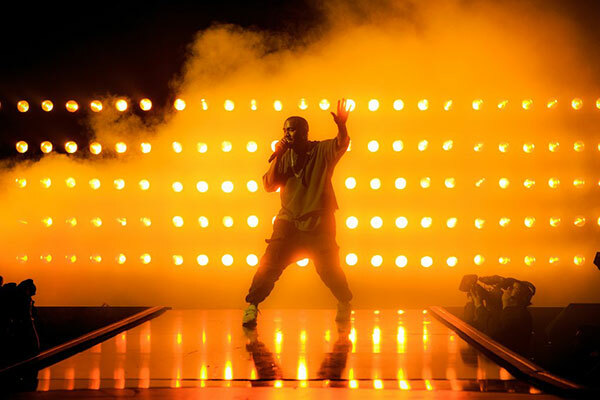 When it comes down to audio, the sound of the video or the track matters a lot. if your most liked song has been distorted during conversion and sounds unpleasant to the ears than you must try a different converter. There are many track converters available on the internet, so get hold of a single file and compare the results through each converter to gain the best one. And for the Mac users, nothing can beat the results of All2MP3 that translate the song in best, crisp sound enhancing every beat for you. When buying things online, ensuring 100% quality is difficult. 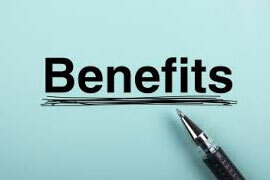 There are many types of software on the internet that can be bought for free but not every application is of good quality. For file conversions, it is important to get hold of an app that is of good quality and can be bought at a great rate or even free and of course, the All2MP3 for Mac beats all the other converters that too totally free of cost. To see questions that other users ask. Now you can switch on your Mac or whatever musical devices you have and place headphones over to hear your converted songs to change the mood. Awesome music is a life saver for many. 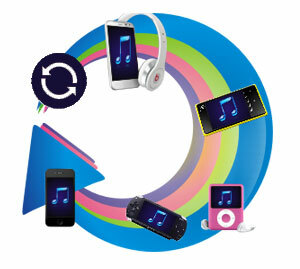 From killing boredom to celebrating auspicious occasions, music is found everywhere. Be it the kids enjoying their birthday parties or adults dancing on a hit number, music is definitely popular amongst every age group and a life without the beats and lyrics is now unimaginable for many. Using All2MP3, the best Audio Converter for Mac can make all these easier!